John is a Certified Public Accountant, and a seasoned corporate executive with over 30 years of experience in finance, accounting and corporate administration. He provides guidance to O2’s portfolio companies on financial reporting, accounting practices and systems, tax planning and compliance, and HR. John also advises on strategic planning implementations at portfolio businesses and participates in review and due diligence efforts of target acquisitions. Before joining O2, John was the CFO of Silbond Corporation and managed the highly successful exit from the business by O2 in early 2014. He also has 13 years of public accounting experience with KPMG, where he provided accounting, auditing, tax, M&A due diligence, and business advisory services to a wide variety of clients in diverse industries and markets. John is an advisory member to the boards and senior management of all of O2’s portfolio businesses. 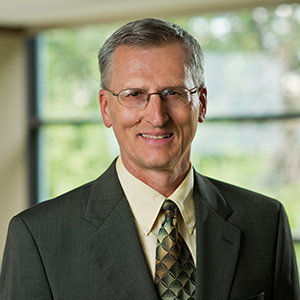 John currently serves on the board of 1 Priority Environmental Services. John is an honors graduate in accountancy from The University of Michigan’s Ross School of Business.